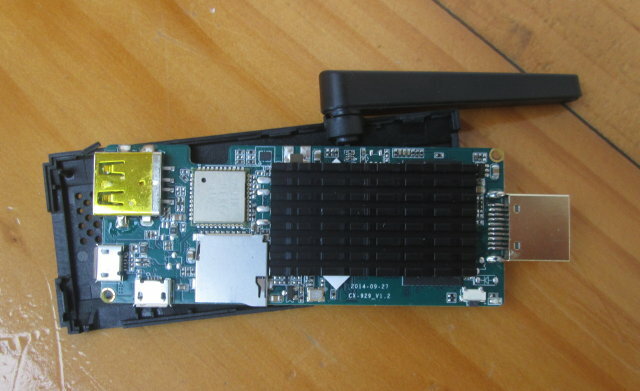 It’s been a long long while since I’ve received an Android HDMI TV Stick, probably because many people prefer TV boxes, and the new ARM processors usually dissipate a lot of heat so thermal management may be an issue with small form factors. 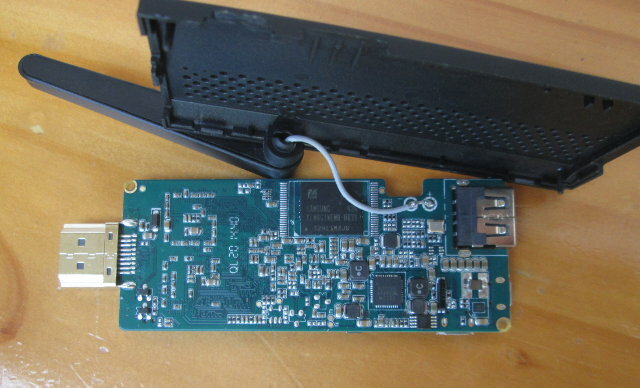 But I’ll finally get the opportunity to test a powerful HDMI dongle based on Rockchip RK3288 quad core processor, as Zero Devices sent me their Z5C Thinko TV stick. I’ll start by listing the specifications, and taking some pictures of the device and the board, because doing a full review hopefully sometimes next week. The device runs Android 4.4.2. 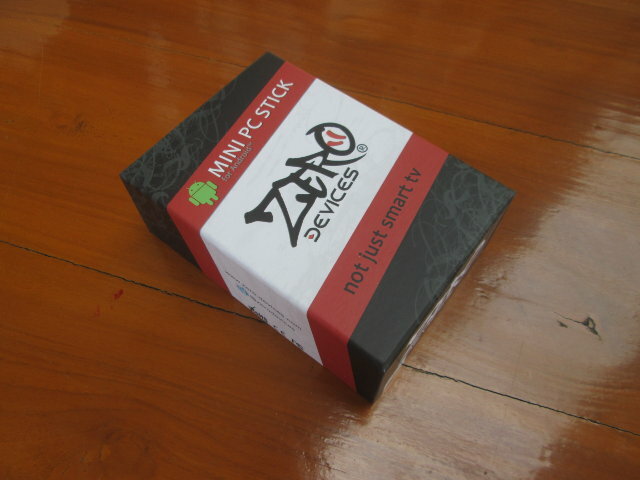 I received the device by DHL in a ZERO Devices “MINI PC STICK” branded package. The TV stick comes with a small pouch bag, a 5V/2A power supply with its micro USB to USB cable, a short HDMI cable, and a USB OTG adapter. There should also be an authenticity card with an unique serial number to access the VIP zone on Zero Devices for firmware download and documentation, and a user’s manual in English, but these were not included with my sample. 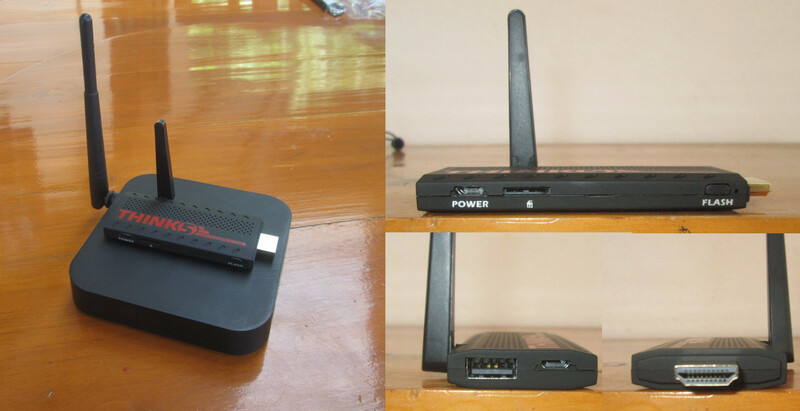 I’ve placed the dongle on top of a typical Android media player (MINIX NEO X6) for size comparison. The stick features three USB ports: one micro USB port for power only, one micro USB OTG port and one full size USB 2.0 host port, as well as an HDMI 2.0 male connector, a micro SD slot, an external antenna, and a “flash” button used for firmware updates. You can also watch Zero Devices Z5C Thinko unboxing video if you please. There aren’t any screws with this type of device, and you normally just need to find a small opening around the connectors, and unclip the two plastic parts with a think objects such as a flat-headed precision screwdriver. I started with the micro USB port (power), and finished with the USB port, and I did not even break any clips in the process! There’s a wide but thin heatsink on top of the processor and RAM chips. I did not really tried to remove it. The Wi-Fi module is AP6330 as advertised which mean dual band Wi-Fi (2.4/5.0 GHz) and Bluetooth 4.0. The board name is CX-929_V1.2 manufactured (or designed) on 2014-09-27. I believe the CX-xyz devices are made by Sunchip. On the back of the board, we’ll find a 8GB SAMSUNG KLM8G1WEMB-B031 eMMC flash that in theory supports 100 MB/s read speed, and 6MB/s write speed, as well as Active Semi 8864QM power management IC. Zero Devices Z5C Thinko can be purchased for $94.99 on Asiapads including shipping. The company also offer a USB + Ethernet Hub for $5 extra. I’ll do a full review next week. That’s the thing with these smaller sticks and the heat issues. I’d never pay ~$100 for such one.